Roman Martyrology: In Rome, Blessed Mary of the Apostles (Maria Teresa) von Wüllenweber, virgin, of German origin, who, lit by a missionary zeal, founded in Tivoli Lazio in the Institute of the Sisters of Divine Savior. On Christmas Evening of 1907 the generous heart of Mother Mary of the Apostles ceased to beat. Rome concluded her active life, leaving a legacy that even today through the Sisters Salvatorian produce abundant fruits in the Church, in twenty-seven countries in the world. Therese (this was her name) was born in Germany in Myllendonk Castle, close to Mönchengladbach, February 19, 1833. Firstborn of the five daughters of Baron Theodor von Wüllenweber, she grew up in a deeply religious family, in some respects but austere characterized by strong bonds of family affection. Her father, an affable man, was well liked by everyone. Therese received her first instruction at home from her mother and some priests. At the age of fifteen years she perfected her education and education from the Benedictines of Liege where, thinking of Rome as the heart of Christianity, she also wanted to study Italian. Returning to the family for several years she helped her father in the family heritage, even if matured in her the desire to consecrate to the Lord. Composing a poem confided: ‘It is what really stormy, heart, rarely has a quiet sunny day. ” In 1853 and in 1857 she joined her mother and sister at Jesuit retreats (custom, at the time, male) and in her born a great love for missions. She wrote: “It ‘s all the deception that does not lead to God,” “I especially liked studying in the Gospel passages that tell us how the time of Jesus and the apostles pious women working together for Christ.” At twenty-four, against the wishes of her father but with the permission of hers mother, who then died suddenly, she entered the Convent of the Sacred Heart in Blumenthal, near Aachen. She held various positions at Warendolf and Orleans (in France) but, while being happy for their apostolate and now close to her solemn profession, felt in her heart that the Lord had for her drawings. She amicably left the institute in March 1863. In a note of resignation, the founder, S. Maddalena Sofia Barat, noted: “pious and good character … is not found in her disposal to be a teacher.” She held great devotion to the Sacred Heart. She went the same day to the Sisters of the Visitation, who were also engaged in education of young people, but also this experience lasted little nell’imbarazzo understood the family. For some time the house was concerned and sisters until, in 1868, she made her entrance into the congregation of adoration Perpetua Brussels, with offices also in Liege. Found in person was necessary because the apostolate among the poor. She wrote: “Thousands of Germans too poor to emigrate because Liege, the absence of compulsory education for children, sends them to work in coal mines. They become victims of corruption, not religion, spiritually and physically ruined. ” She thought of forming a foundation in Germany but that could not be done. They were the years of religious persecution with an anticlerical culture, the vacant dioceses, workshops closed, priests in exile. Two years later she again returned home. In 1872 Therese met the pastor of Neuwerk who became her spiritual director. Every day she was going to find it on foot, by any time. They began to talk of a new foundation. Among her writings read: “I want you donarmi entirely, completely, as you will, I want to disappear in full humility as your poor tool”, “O Lord! You must have thrown a spark of love in my heart – and when I refer to non-believers feel a deep pain. ” In 1876 taken Catering (would then buy) a part of the Benedictine monastery of Neuwerk and opened the Institute S. Barbara for assistance to orphans, girls and women. Given the difficult times she tried unsuccessfully to merge with a similar institution. Among others sdhe met Saint Arnold Janssen. Father Jordan was born in a small village in the Black Forest and had to meet family needs dell’infermità because of his father. He worked as a construction painter and then take the high school exams and finally entered the seminary of Freiburg. He was ordained a priest in 1878, went to Rome with the desire to found an apostolic Catholiccommunity for the renovation, is composed of men from women, religious and laity, of all social backgrounds. In a world increasingly secularized every Christian should feel an apostle. Of particular importance was the spread of good press. 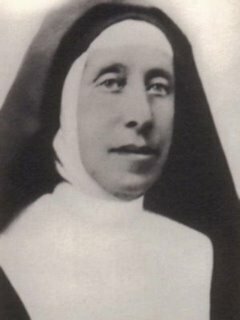 Two months after their first meeting Therese (who was forty-nine ) was attached with votes to private companies, giving “her convent.” In Rome, Superior of the Sisters of Mother Company was Streitel. In July 1884 Therese stayed briefly in the Eternal City, at a time of contrasts between Father and Mother Jordan Streitel that, in order to give an impression Franciscan in his work, there is little to detach from the company giving life to the Sisters dell’Addolorata. Therese meanwhile, returned to Neuwerk and spent several years in uncertainty until November 1888 when, with a small group of sisters, she was called by Father Jordan to Tivoli. On December 8, 1888 was born the new women’s branch of the Catholic Teaching Company, Theresa was elected Superior under the name of Sister Mary of the Apostles. The new congregation was soon welcome by the people while vocations came from Germany, Switzerland, Austria, Hungary and South Tyrol. From the earliest times, then, the spirit was an international missionary, so much so that after a few years Mother Mary sent the first sisters to India and Ecuador, always with great commitment, through correspondence. At Tivoli, in 1894, she opened the seminar course for greater preparation of the sisters, under the watchful eye of Father Jordan. Shortly thereafter an epidemic of typhoid broke out and some nuns were housed in Rome while from Germany came the sad news of the death of the father of the Blessed. While the work took its final name of the Society of the Divine Savior was fulfilled the desire to transfer the head near St. Peter. Tivoli remained for years, the seat of novitiate where, on several occasions, Mother Mary showed a maternal care for novices (even getting to play with them to “fly blind”). Mother Mary was beatified on October 13, 1968 by Pope Paul VI, with the festival Sept. 5. Her relics are venerated in the church’s General House in Rome, in Via Mura Gianicolensi 67. Blessed Mary of the Apostles. This entry was posted on Thursday, December 25th, 2008 at 1:28 am and is filed under Beatified by Pope Paul VI, Catholic. You can follow any responses to this entry through the RSS 2.0 feed. You can leave a response, or trackback from your own site.